"Just the facts ma'am; just the estate planning facts." 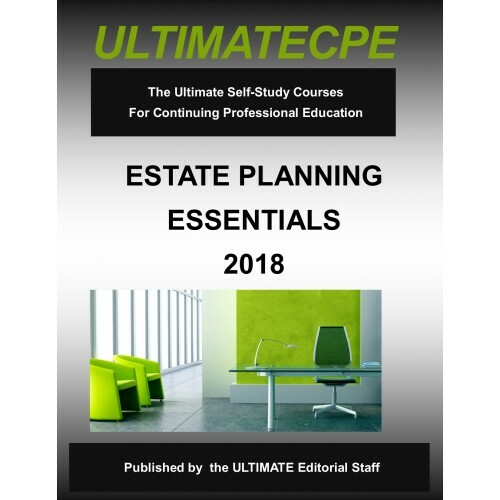 Designed to give a quick overview of estate planning essentials, this course surveys wills, living trusts, gifts, marital property, and probate avoidance. Will and trust types are examined in the context of general estate and gift taxation. Designed to eliminate estate problems and death taxes, the emphasis is on practical solutions that are cost effective. Talk about having it all in an overview course - there is even a quick re-view of immediate postmortem death tax planning and filling out the Form 706.